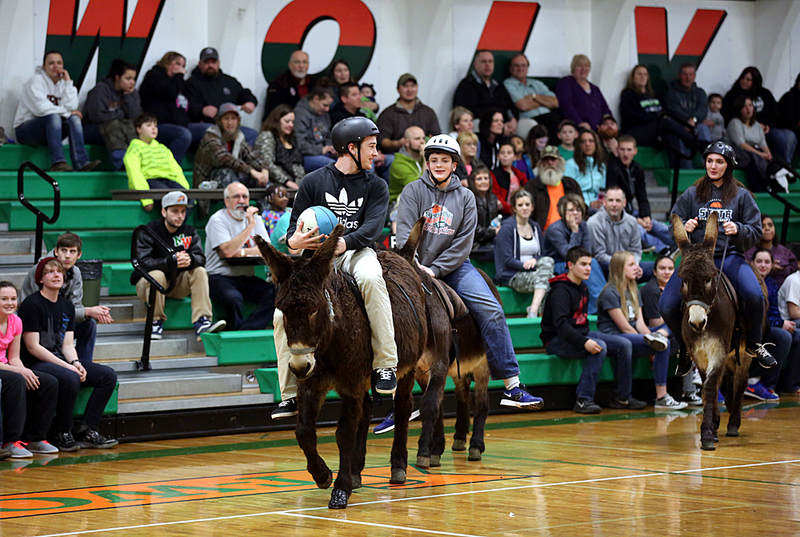 The Morton FFA Chapter will be hosting Donkey Basketball on Thursday, March 22 at 7 p.m., in the high school gym. Pre-sale tickets are on sale now! Tickets will also be available at the door, however, consider pre-sale tickets as they save you money! Contact changer@morton.k12.wa.us for more information. Tickets can be purchased in the high school office. Presale prices: Adults $9, Jr./Sr. HS Students $7, Children(K-6) $5, children under the age of 5, when accompanied by an adult ticket holder are free. All proceeds help Morton FFA students attend 2018 State Convention and other events!